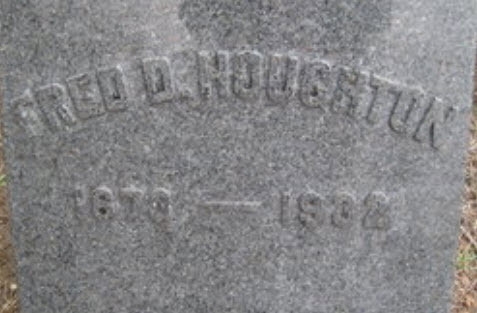 Theodocia Houghton married Albert H. Thode. Theodocia Houghton and Albert H. Thode were divorced. Mahlon Houghton married Jennie Fuller in Feb 11, 1863. Dr. Chilon Houghton married Cordelia Maria Darling in Jan 29, 1868 at Manchester, Essex Co., MA, USA, Sutton Hx: Sutton MA. Lydia Houghton married George Horace Hewett in Jan 1, 1863. Merrick Houghton married Eldora Jane Billington in circa 1896 Mrs. Jane Hendrickson, a widow with one daughter; mar 4 years in 1900 census. Jennie Fuller married Mahlon Houghton, son of Lysander Adams Houghton and Lydia White, in Feb 11, 1863. Cordelia Maria Darling married Dr. Chilon Houghton, son of Lysander Adams Houghton and Lydia White, in Jan 29, 1868 at Manchester, Essex Co., MA, USA, Sutton Hx: Sutton MA. Edna Darling Houghton married Edward L. Hough in Mar 16, 1892 at Sutton, Worcester Co., MA, USA, at Manchaug Baptist Church; JWH, MLM: 19 Mar. George Horace Hewett married Lydia Houghton, daughter of Lysander Adams Houghton and Lydia White, in Jan 1, 1863. Birth Dec 6, 1842 Northbridge, Worcester Co., MA, USA, JWH: Dec. 6, 1842; age 7 in 1850 census; age 16 in 1860 census; age 37 in 1880 census; Dec. 1842, age 57, in 1900 census; age 67 in 1910 census; age 76 in 1920 census; Northbridge VRs: Sep.
1880 Census 1880 Worcester, Worcester Co., MA, USA, age 37, building cnc. 1920 Census 1920 Worcester, Worcester Co., MA, USA, age 76, sheet metal president; 1 servant; next door to son John M.
Lewis T. Houghton married Lillian Jennie Bachelder in 1872. Fredrick German Houghton married Elizabeth Gallatin in circa 1874. 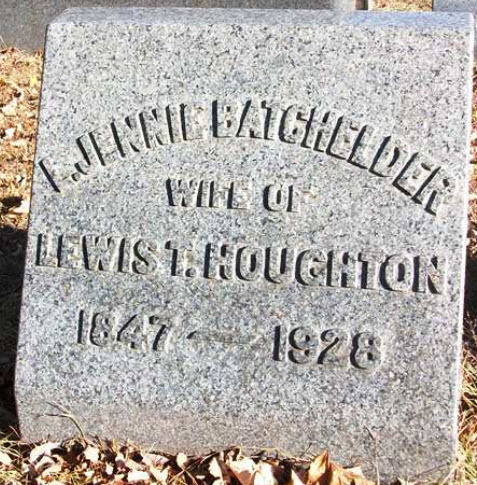 Lillian Jennie Bachelder married Lewis T. Houghton, son of German Belmont Houghton and Sarah Preston Hovey, in 1872. Frederic Delmont Houghton married Maud R. Dusenbury in circa 1903 age 30 and 23; mar 7 y in 1910 census. Herbert Lewis Houghton married Mary A. (?) in 1910 mar 0 y in 1910 census. 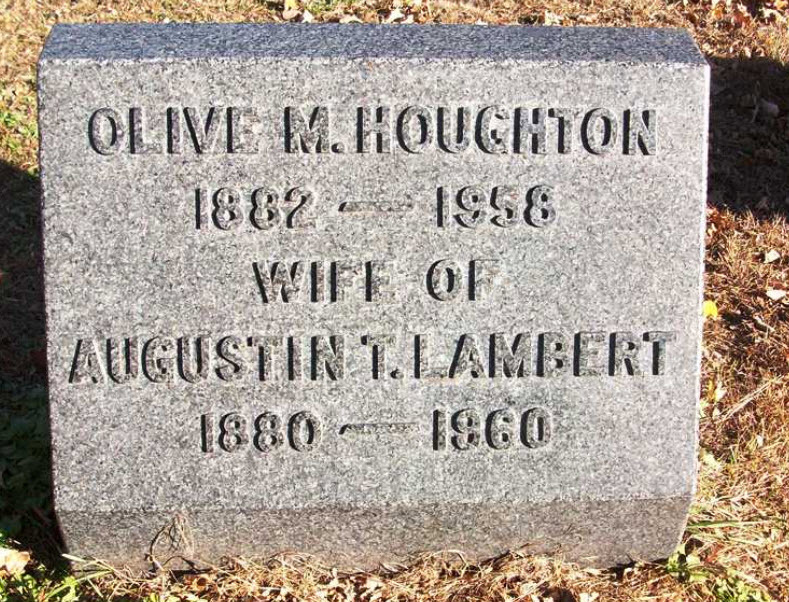 Olive Merriam Houghton married Augustin Thomas Lambert. John Mascroft Houghton married Josephine Frances Drake in circa 1908 age 23 and 19; mar 2 y in 1910 census. Josephine Frances Drake married John Mascroft Houghton, son of Lewis T. Houghton and Lillian Jennie Bachelder, in circa 1908 age 23 and 19; mar 2 y in 1910 census. Elizabeth Gallatin married Fredrick German Houghton, son of German Belmont Houghton and Sarah Preston Hovey, in circa 1874. Georgiana H. Houghton married Paul L. Crawford in Mar 20, 1873 at Huron Co., OH, USA. 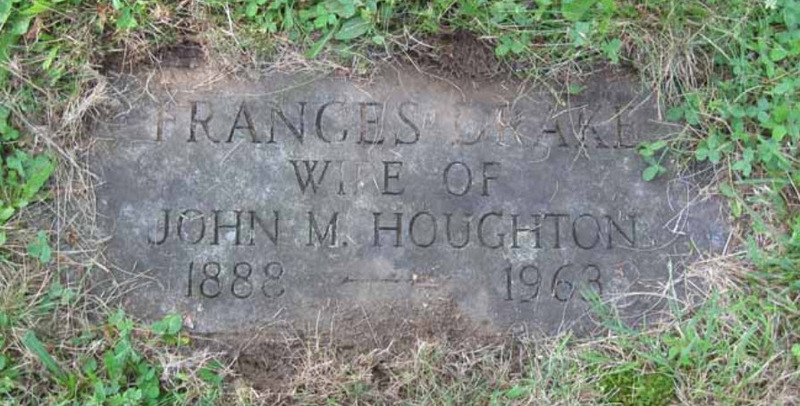 James C. Houghton married Caroline E. Perkins in Mar 20, 1877 mar 27 years in 1900 census; mar 38 y in 1910 census. 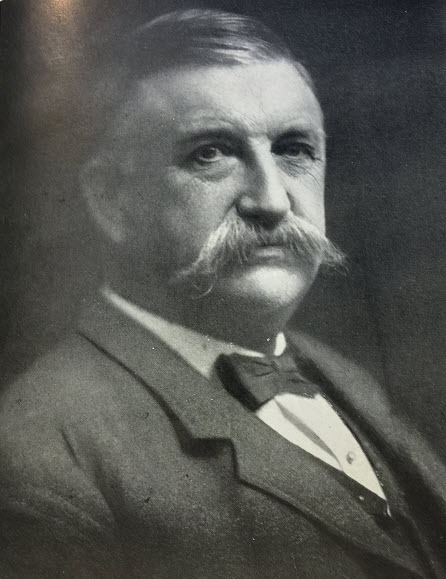 James C. Houghton married Emma (?) age 24 and 15. Lucy Houghton married James O'Neill in Feb 16, 1882 at Huron Co., OH, USA.